Al Galves is a psychologist who believes that psychology is too valuable to be used only to help people with psychiatric diagnoses but, rather, should be used also to help healthy people become healthier. So he is writing books, presenting workshops and seeing patients in order to help people use all of their resources, their so-called "negative" emotions as well as their positives, the parts they don't like about themselves as well as the parts they do, the parts that are hidden as well as the parts of which they are aware. He is dedicated to helping people use themselves well so that they can live the way they want to live, love the way they want to love and express themselves the way they want to express themselves. 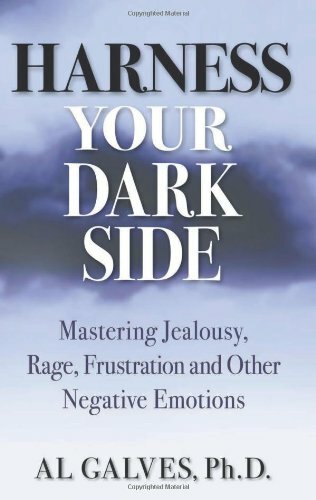 He is the author of Harness Your Dark Side: Mastering Jealousy, Rage, Frustration and Other Negative Emotions which can be purchased through Amazon or Barnes and Noble. If you’d like to attend a workshop click here. If you’d like Dr. Galves to come speak to your group, click here.